Lush Acreage With Infinite Possibilities! Occupying an impressive 5 acres (approx. ), this property offers buyers a world of opportunities! Move straight in and embrace the perks of country-style living, renovate the home to create your dream lifestyle property, or use the expansive land size for commercial development (STCA)! Positioned to savour the delights of the Bellarine Peninsula, you’ll love spending your weekends exploring the stunning coastline or relishing in the region’s finest wineries, including the adjoining property Flying Brick Cider. Adventure Park is also a heartbeat away for days overflowing with family fun. Easy access to Leopold’s Gateway Plaza and the Leopold Primary School puts the practical elements in place for families. 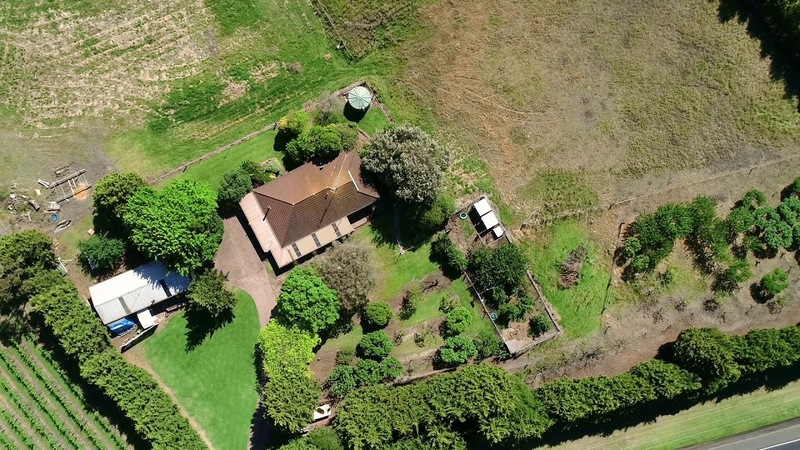 The property boasts access to both the Bellarine Highway and Swan Bay Road, with established trees and gardens creating immediate privacy around the home. The brick home features a lounge that flows to the kitchen/dining zone, with the kitchen equipped with a built-in pantry and appliances (oven, gas hob, rangehood, dishwasher). The rumpus room offers versatility as a kids play space, teen retreat, or second living area. The Master Bedroom features a walk-in robe and direct access to the main bathroom, while two additional bedrooms are complete with built-in robes. A laundry with external access and separate toilet complete the layout. A wood heater, gas wall heater, and air conditioner provide comfort. The three paddocks are ideal for farmers, hobby farmers, or horse-owners. The established orchard, complete with sprinkler system, invites you to enjoy a wide variety of fruit straight from the source. Tradies & farmers will be impressed with the powered remote lock-up work shed with outdoor sink, which provides secure parking for six vehicles along with room for a workshop. Other features of the property include a rainwater tank, dog pen, and wood shed. Overflowing with infinite possibilities, you’ll need to act swiftly to secure this rare opportunity! Inspect without delay!